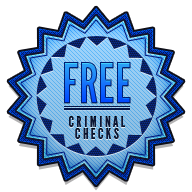 Starting November 30, 2013, British Columbia’s government will waive the $20 criminal record check fee for not-for-profit organizations. Under BC law, employers in the volunteer and not-for-profit sector must obtain criminal record checks for job and volunteer candidates if they will work with children or vulnerable adults. The province’s criminal record check program aims to alleviate the financial burden associated with the law. The current fee might seem like a small amount, but with mandatory checks for multiple job and volunteer candidates, it can quickly add up. As of November 30, 2013, BC’s not-for-profit sector won’t have to worry about that any more. At the same time, for the program to continue to pay for itself, the fee for other organizations will increase to $28. In addition, the program will only waive the fee for provincial criminal record checks. Employers will continue to pay for local or RCMP checks. Recent amendments to the Criminal Records Review Act also create “portable criminal record checks.” Completed criminal record checks will be stored for five years, during which time a volunteer or job candidate may permit an employer to access the document. In theory, this will reduce redundant checks and save employers in the not-for-profit sector money when they recruit volunteers and employees. Criminal record checks that indicate a risk cannot be portable. For more details, read “Changes to criminal records review come into force,” Christina Catenacci and Yosie Saint-Cyr’s overview of the Criminal Records Review Amendment Act, 2013 (Bill 11) on HRinfodesk.com. Find the Criminal Records Review Act on the government of BC website here. Indian experiment would have interesting implications in Canada Is the proposed ‘cyberbullying legislation’ the real deal?